In the final of our four-part Q&A series, Kenton Buckner opens up on topics he’s shared little elaboration on in the past. Here the chief defends Little Rock police and the use of ‘no knock’ warrants. Q: I want to ask you about a story in The Washington Post about the “no knock” drug warrants the Little Rock police force used routinely, and the questions about whether these kinds of warrants were overused or abused. A: You should make sure your readers know that story was listed in the Opinion section of The Washington Post. Q: It seemed to be journalistically reported. A: But you know, as a reporter, the Opinion section is just that. That’s his opinion. Q: OK. Fair enough. What can you say about it? A: Obviously, it is part of active, ongoing litigation in Little Rock. I can tell you that in my review of the officers’ actions in question with the gentleman that initially raised the issue that I’ve seen nothing thus far that would lead me to believe that the officers intentionally did anything wrong. There were a couple of administrative things we looked at where we could say, “Hey, we could probably improve this.” But as far as the process by which we went about doing the “no knock” search warrants and the circumstances that led to that, we believe that we are on good legal ground and the City of Little Rock certainly looks forward to having their day in court to present all of the facts and not just what was printed in an Opinion article. Q: Was this statement correct? Or do you know? The article stated that out of 105 warrants sought by the Narcotics Unit, in something like 101 or 103 cases they were granted these “no knock” warrants where a door can be busted down. A: I don’t know the specific numbers. I will tell you the majority of those kinds of warrants are going to be “no knock” because of the fear of a couple things: In many instances there is a safety argument that the officers have because of information described from an intelligence standpoint, that the individuals (suspects) are armed, or that they have a violent history as relates to their criminal history for the person that is the subject of the warrant, and then the destruction of evidence. Those two things are the two pillars when you are going (to the court) to seek “no knock” warrants. And Little Rock has been listed among the most dangerous and violent cities in the United States for decades. So it should not be a shock to anyone that the police don’t want to give you a significant heads-up that we are getting ready to enter your house. A: Understood. But here’s what else you don’t know that’s not printed in that article. There are many instances where I have a “no knock” warrant for Mr. Davis, but in actually sitting on your home and doing surveillance on it on the day we’re getting ready to execute the warrant, there are a number of times that we will grab you in your driveway as you’re getting ready to go to your house even though I had a “no knock” warrant. So that’s counted in your 101 or your 103 that there was a “no knock” warrant issued — but it was not executed. There are so many things once you dive into the information, which is why we always tell people, “Well, we’ll tell our side of the case when we get the appropriate time.” But right now we have one person talking. An attorney for this gentleman and this reporter. But the city will have its story. But that’s just one example of that number — be careful what you put into that number. Q: My impression was that one of the biggest issues raised was the high percentage. A: Well, I think if you ask most public safety individuals, would they be shocked to learn a high percentage of the people that we execute drug warrants on are either armed or have a violent criminal history? Ask that question. Q: Have you read that story? A: Parts of it. Again, I think it’s a guy who’s taken the version of Mr. (Roderick) Talley (the key complainant) and ran with it and when everything comes out I think people will see a more balanced argument as it relates to what actually occurred. Q: The reporter does talk to quite a number of people like Mr. Talley. A: You asked me a question earlier today. “Chief, what are you going to do about violent crime? What’s your plan?” So if I were to ask you, “What is probably one of the primary common denominators of conflict in violent crime encounters?” What would you think that would be? The drug trade. What is the primary resource of gang members? A: And drugs. So why is everyone shocked? Think about what we’re saying. Every night you see something on TV where someone is shot or stabbed, or something has happened to them, yet people expect us to walk up (knock loudly on the door) and say, “Shooter, are you in there?” That’s not how the world works. Q: Again, a major part of the question raised was the percentage. A: Doesn’t surprise me at all. Q: But still, someone might say — and yes, you’re right that there is just this one side out there in a substantial way in the newspaper reporting so far — someone would question what seems like the 99.99 percent nature of these warrants. It seemed like every time. So you see in contrast to these 103 warrants, how many “knock and talks” did we do? Or how many traffic stops have we done that didn’t result in a warrant? So if you look at the total number of people that have been arrested through Narcotics, through that unit, versus the hundred warrants that you’ve done, you’ll see that this percentage you’re doing — the 99 “no knocks” — there are many other avenues that we come into contact with the public to where we don’t even do a warrant. Again, part of the balancing of the story. Q: I’m pretty sure you don’t feel you have enough officers. Little Rock, a slightly bigger city, had about 600 and we have 425 or so? A: I’m told 460 or so are authorized, funded positions, and I’m in the process now of trying to study to see if I feel like that’s an adequate number. Q: So if I’m understanding, there’s 40 or so jobs that are actually open? A: Right. We have a class right now that we’re hiring for, for 39 officers. Q: What does that class look like in terms of demographics? A: So far it’s diverse, but we haven’t gotten all the way through the second background portion (of checks). We’ve got to go through medical, we’ve got to go through polygraph, there are several other stages that are left, but it’s very diverse at this time. A: I don’t know the numbers off the top of my head. I know there are 152 or so total candidates and I believe that there are probably somewhere in the neighborhood of 35ish, 40 minority candidates. 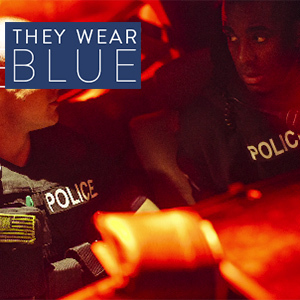 Q: In a prior interview, you mentioned helping with the testing for current minority officers who are seeking promotion. I read somewhere about an idea to set up opportunities for new recruits to take mock tests for practice, if testing was a challenge for them. A: That’s the purpose of the venture we plan to do with the NAACP. 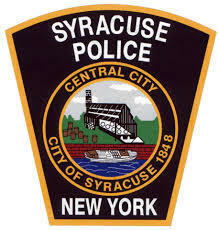 Q: Are you doing anything in particular at this point to reach out — yourself — to current minority officers on the Syracuse force? A: I’ve been working with CAMP 415 (association of minority officers), which is one of the partners we have in trying to help us diversity the police department. Some of them will be asked to help with the study sessions for some candidates (for promotion), or any officer, not just CAMP 415 but any member of our police department that’s interested in that. And we have a number of people of all races who have agreed to be a part of a recruiting team that we will create to go out to more places, career fairs, job announcements and things of that nature to try to get our footprint out there and very well recognized in the community that we’re open for business. I’ve met with CAMP 415 a couple of different times to hear some of the concerns and issues they have raised in an attempt to try and get some traction on those. A: Syracuse, I believe, is a city where we have some energy that is going on right now. I think that there is optimism going on right now. We have a young mayor, we have a young county executive, who have expressed their willingness to work with each other to try to help Syracuse and Onondaga County. 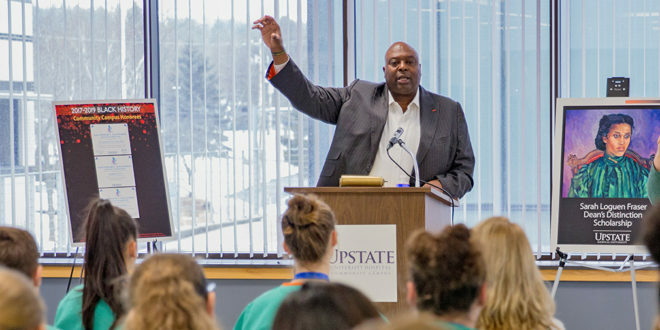 … I think … if we’re going to see Syracuse reach its full potential, it will be because the people that live in Syracuse, that work in Syracuse or Onondaga County, have gotten on the field and are engaged with the challenges that we face. Without that, we will continue to be frustrated.